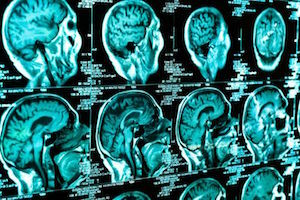 Concussions are a common diagnosis following a motor vehicle accident. No matter whether you’ve been injured in a car accident, motorcycle accident, bicycle accident or pedestrian mishap, it is essential that you seek medical attention right away. Some people can sustain concussions and not even realize it at first following a motor vehicle accident. Concussions are the most common types of traumatic brain injuries caused from vehicle crashes, and as with any traumatic brain injury, patients should be monitored closely to ensure that their symptoms don’t worsen and become life-threatening. Of all the types of traumatic brain injuries, a concussion is the least serious. However, this is not to imply that concussions themselves are not serious. If left untreated, they can end up causing serious neurological problems. The term “concussion” comes from the Latin word “concutere,” which means “to shake violently.” Therefore, it makes sense to conclude that concussions are caused by sudden blows or impacts to the head that causes the brain to shake violently. The brain is encased in fluid within the skull, so when it shakes violently within your head, blood vessels and nerves can become damaged. Consequently, this can cause the brain to not function normally. Obviously, this explains why concussions are oftentimes an injury that people involved in motor vehicle accidents suffer from. When vehicles impact, it causes a sudden blow that individuals oftentimes experience in their heads. The degree of the concussion can be affected by several factors, such as how fast each of the moving vehicles were going, where the hit occurred and so on. People who’ve had a concussion might experience problems with their vision, they might feel dizzy and they may even fall into unconsciousness because their brains are confused and not functioning properly. Although concussion are oftentimes accompanied by visible cuts or bruises on the head, this doesn’t mean that just because you have a cut or bruise on your head that you have a concussion. In fact, concussions can be difficult to diagnose since the symptoms might not appear immediately. It can take hours, days and sometimes even weeks after sustaining a concussion for you to begin to notice the symptoms of it. Additionally, some symptoms might only last for a few seconds while others may linger indefinitely. This is part of why it’s so important for people involved in motor vehicle accidents to seek medical attention immediately. Medical professionals can perform neurological tests on patients to help them determine whether patients have sustained any injuries in their heads directly following an accident. Some of the most common symptoms of a concussion include the following: dizziness, loss of equilibrium, headache, slurred speech, vision problems, sensitivity to light and noise, sluggishness, clumsiness, ringing in the ears, memory loss, lack of concentration and even behavior and personality changes. Concussion are rated by their severity. Grade 1 concussions are considered mild while Grade 2 concussion are moderate and Grade 3 ones are severe. With Grade 1 concussions, the symptoms usually only last for no more than 15 minutes, and the individual usually doesn’t lose consciousness. Grade 2 concussions usually don’t result in a loss of consciousness either, but the symptoms might last for longer than 15 minutes. Grade 3 concussions, on the other hand, usually result in the individual losing consciousness, and symptoms may last for long periods of time. The severity of your concussion determines what level of treatment you require. Regardless of what kind of concussion you suffer from, you should seek medical attention. Grade 1 and 2 concussions usually require that you wait to resume your normal activities until the symptoms have fully passed, which can take up to a week or two. However, a Grade 3 concussion usually needs to be examined by a professional neurologist who might request that you have a CT scan or MRI to determine whether you have any bleeding or other serious injuries to the brain. People with Grade 3 concussions might have to be hospitalized, and even if they aren’t, doctors will oftentimes prescribe specific instructions for their recovery. If you sustained a concussion after a motor vehicle accident that was due to negligence or wrongdoing on the other party’s fault, you may be entitled to money for your hospital bills, lost wages and pain and suffering. A personal injury lawyer can evaluate the circumstances surrounding your case and gather the appropriate evidence to support your claim in court. Plus, personal injury lawyers are experienced with handling similar types of claims, and they’ll fight aggressively for you to ensure that you get the most that you’re entitled to for your injuries. They have the negotiation skills and reputation to secure the most favorable outcome for their clients.